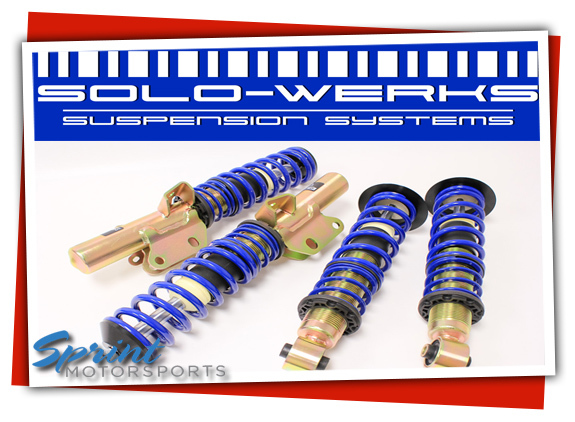 Solo-Werks is division of KW Suspension systems that specializes in performance suspensions and coil-over kits for the budget minded enthusiast. The company researches and engineers aftermarket suspension systems for Audi, BMW, Subaru, MINI, Honda, and Toyota. Sprint Motorsports is a Master Dealer and Installer for Solo-Werks Automotive Performance Suspension Products and Coil Over Kits. Based out of Fresno, CA, SOLO WERKS staff is dedicated to keeping the true spirit of the advancement of the automobile alive by producing top line suspension products for automotive enthusiasts around the globe. The SOLO WERKS engineers utilize more than 25 years in aftermarket suspension design as well as input from alpha-enthusiasts to produce high-quality suspension products and coil over kits that exceed OEM standards that the automotive performance enthusiast market is demanding. They focus the tuning of their shocks and dampers to greatly reduce body roll, dive under braking, and squat under acceleration, while retaining ride comfort and provide sporty handling. At Sprint Motorsports, we take pride in caring for our customers, and are invigorated by the opportunity to provide competent and comprehensive automotive repair services. We are the best auto repair, service, and performance upgrade auto shop facility for your favorite vehicles. We provide you personalized, detailed, and friendly service. Our relationships are customers are built on trust, communication, integrity, and commitment to our purpose; to be the best auto repair and performance shop in San Jose. 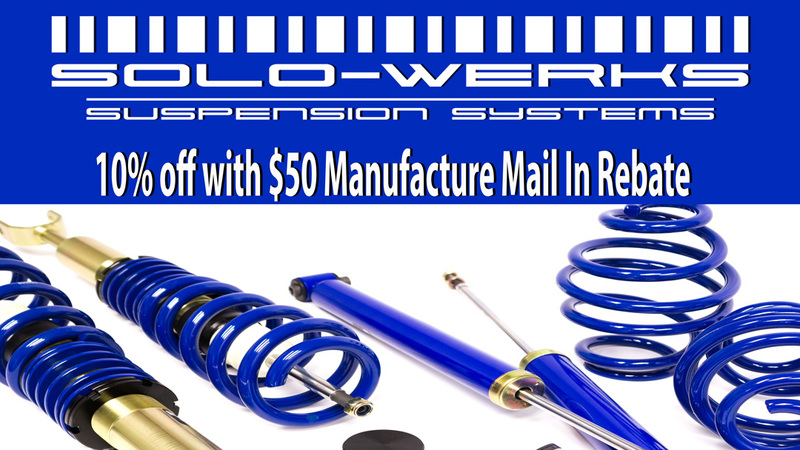 Call us to purchase SOLO-WERKS products and/or schedule an appointment to have your suspension upgrades or coil over kits professionally installed. Contact service@sprint-motorsports.com or 408-831-3730. We welcome you to stop by our shop at 2099 S 10th St Unit 40 in San Jose, Ca. If you have any questions about your car’s performance or maintenance, feel free to ask our staff for assistance.